This morning, a friend of mine called, and told me he had a collegue who really abused his watches. 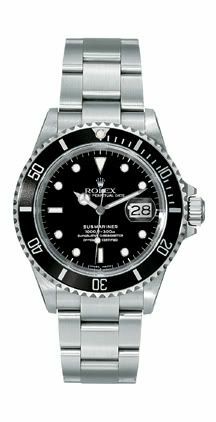 He had seen a Rolex Comex diver which had seen terrible abuse, it was scratches and dented all over. My own Rolex Sea-Dweller, was owned by a diver before I bought it. He really used it as a diving watch, and it shows. 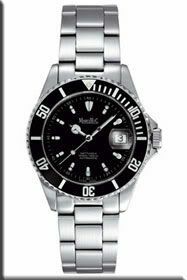 I also don’t baby my Sea-Dweller, I wear it when I work, when I go to the bar, when I have to fill the 19″ serverrack at work… I don’t care if it gets scratched and dented. I know a few other people who don’t exactly baby their expensive watches. So ofcourse, most people are probably quite ‘carefull’ with their Rolex, especially when it is gold (scratches more easily), but I think there is a large group of people who use it more or less how it is built. Like a tank. Richard also states “The purpose of those watches is ego satisfaction, and if they do that, then fine, because that is their purpose. However, if that is their purpose, and their stated justification for their value is their apparent quality, they cannot quibble if watches of equal quality appear, and raise the issue of design. “, which is probably true for a lot of people. But that would make the statement a bit different, it is not the purpose of a Rolex Sea-Dweller, Submariner of GMT-Master to be labelled ‘ego satisfaction’, it is the people who treat it like a status-symbol who USE it for their own ego satisfaction. The watch is just a thing, no more, no less. The design issue is a whole different issue in my opinion. If you really think MarcelloC didn’t copy Rolex’s design, then I am done discussing I guess. I really wonder how someone can deny this. I had and have a few Rolexes, I also handled a few MarcelloC watches and ofcourse, they are of better quality then most Invicta watches, but surely not on par with Rolex.